The Office of Coroner has caused me pause over the past few months. While doing extensive research, I have been troubled at the facts that have come forth. It all began with a friend who had trouble obtaining a death certificate investigated by the Coroner’s Office in short order. Evidently, the backlog of death certificates in the Coroner’s Office is pretty extensive. Then, without warning to the public, a death investigator was killed in a murder-suicide a few months ago at one of my favorite restaurants, T.J. Ribs. It was a very sad story that slowly unfolded. Perhaps it was then that the public began to made aware of significant issues that seemed awry. According to The Advocate, both Coroner Shannon Cooper and Chief Operating Officer Don Moreau spoke on occasion with the death investigator, Raymond Levie, about his relationship with a mentally ill woman. This fact was verified by Moreau and the Baton Rouge Police Department reports. The Coroner’s Office website states they are on call 24/7, 365 days a year, to evaluate the mentally ill, chemically dependent and handle death investigations. Furthermore, their website states the conditions under which CEC’s (Coroners Emergency Certificates) are issued in order for a physician to perform a psychiatric evaluation of a patient under an Order of Protective Custody (OPC) ordered by the Coroner. In the case of Raymond Levie, as a death investigator, who is on call 24/7 — 365 days a year, it appears that Levie took the liberty of getting involved with a mentally ill patient and went beyond the perimeters of his responsibilties by entering into a relationship with the patient. What is more troubling is that the relationship was volitile and the mother of the patient repeatedly made efforts to put the death investigator’s personal involvement to a stop. The Coroner and the Chief Operating Officer were both aware of the request for a restraining order, requested by the mother, and the fact that the death investigator continued the relationship. As things unfolded, Coroner Shannon Cooper denied that the patient was mentally ill. The truth is that the patient was mentally ill and perhaps chemically dependent according the BR Police Department reports. In short order, we also learned that the deceased death investigator had a large amount of personal property taken from the scene of death investigations in his apartment. Those items included drivers licenses, other types of ID’s, and medication. The Coroner should have either dismissed or placed the death investigator on probation, as he was made aware of the situation in December, 2010, when a search warrant was performed at the residence of the death investigator when the BR Police Chief requested that Coroner Shannon Cooper meet with him. The death investigator died in June, 2011. One must ask if action had been taken by the Coroner prior to that time if two unnecessary deaths could have been avoided? Additionally, it was not until after the death of the investigator that The Advocate checked in to the situation further to learn that the medications and personal property of those investigated by the Coroner’s Office had been confiscated in the December 2010 search warrant. This caused Coroner Shannon Cooper to publicly state he would implement a ‘new’ policy aimed at better tracking of drugs removed from death investigations. In response to this ‘new’ policy, The Advocate Editorial Staff issued an Opinion stating the policy should not be verbal, as stated by Cooper, but should be stated clearly in writing. The fact that Coroner Shannon Cooper stated he was implementing a new policy is troubling at best. RSS13:1551 – Part II Coroner – Subpart A General Provisions — 1567: Retention of Decedent’s Person Effects — plainly states that the Coroner shall take charge of person effects and property of the deceased at the scene of death. Once complete, the Coroner is to return the property to the lawful person and/or provide it to law enforcement in ongoing investigations. The law is clear already. Coroner Shannon Cooper and his office personnel were in violation of a law that was already in effect. It seems to me that by ‘reinventing a policy’ that is already law, Cooper has diverted the attention from the real issue. Furthermore, Ron Coe, Coroner for Livingston Parish, told The Advocate in February, 2005, that his investigators had collected medications worth thousands of dollars over the past six months and donated them to the St. Vincent de Paul Community Pharmacy. At that time, Coroner Shannon Cooper stated he has implemented the same policy. That was 6 years ago! If that is the case, how did drugs find their way to the residence of a death investigator? All of this is extremely disturbing. Evidently Cooper has taken on the characteristics of Pinocchio during his effort to hold on to his post in a highly contested election that will continue to play out during a run-off set for November. 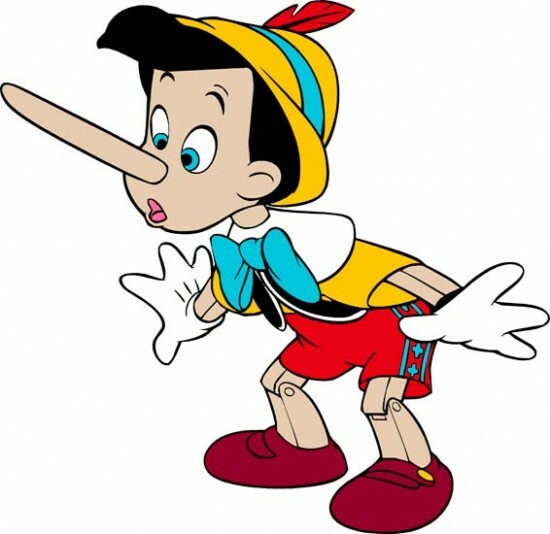 Pinocchio is often a term used to describe an individual who is prone to telling lies, fabricating stories and exaggerating or creating tall tales for various reasons. The people deserve a Coroner that will enforce the laws that already exist — one that is not prone to ignoring the laws, but enforcing them. The Advocate had it right in their Opinion; however, the laws are already on the books. This may be the tip of the iceberg. Usually, where there is smoke, there is fire. The truth is that the story is a sad commentary on what is apparently going on behind the scenes at the EBRP Coroner’s Office. Unfortuantely, Coroner Shannon Cooper made a cognitive decision to ignore the law. Is this the type of man we want to re-elect?